Increased inflammation and oxidative stress are associated with insulin resistance (IR) and metabolic disorders. Serum histidine levels are lower and are negatively associated with inflammation and oxidative stress in obese women. The objective of this study was to evaluate the efficacy of histidine supplementation on IR, inflammation, oxidative stress and metabolic disorders in obese women with the metabolic syndrome (MetS). A total of 100 obese women aged 33–51 years with BMI ≥ 28 kg/m2 and diagnosed with MetS were included following a health examination in the community hospital in this randomised, double-blinded, placebo-controlled trial. Participants were allocated to interventions by an investigator using sequentially numbered sealed envelopes and received 4 g/day histidine (n = 50) or identical placebo (n = 50) for 12 weeks. Participants then attended the same clinic every 2 weeks for scheduled interviews and to count tablets returned. Serum histidine, HOMA-IR, BMI, waist circumference, fat mass, serum NEFA, and variables connected to inflammation and oxidative stress were measured at baseline and 12 weeks. Participants, examining physicians and investigators assessing the outcomes were blinded to group assignment. In addition, the inflammatory mechanisms of histidine were also explored in adipocytes. At 12 weeks, a total of 92 participants completed this trail. Compared with the placebo group (n = 47), histidine supplementation significantly decreased HOMA-IR (−1.09 [95% CI −1.49, −0.68]), BMI (−0.86 kg/m2 [95% CI −1.55, −0.17]), waist circumference (−2.86 cm [95% CI −3.86, −1.86]), fat mass (−2.71 kg [95% CI −3.69, −1.73]), serum NEFA (−173.26 μmol/l [95% CI −208.57, −137.94]), serum inflammatory cytokines (TNF-α, −3.96 pg/ml [95% CI −5.29, −2.62]; IL-6, −2.15 pg/ml [95% CI −2.52, −1.78]), oxidative stress (superoxide dismutase, 17.84 U/ml [95% CI 15.03, 20.65]; glutathione peroxidase, 13.71 nmol/ml [95% CI 9.65, 17.78]) and increased serum histidine and adiponectin by 18.23 μmol/l [95% CI 11.74, 24.71] and 2.02 ng/ml [95% CI 0.60, 3.44] in histidine supplementation group (n = 45), respectively. There were significant correlations between changes in serum histidine and changes of IR and its risk factors. No side effects were observed during the intervention. In vitro study indicated that histidine suppresses IL6 and TNF mRNA expression and nuclear factor kappa-B (NF-κB) protein production in palmitic acid-induced adipocytes in a dose-dependent manner, and these changes were diminished by an inhibitor of NF-κB. Histidine supplementation could improve IR, reduce BMI, fat mass and NEFA and suppress inflammation and oxidative stress in obese women with MetS; histidine could improve IR through suppressed pro-inflammatory cytokine expression, possibly by the NF-κB pathway, in adipocytes. The study was supported by the National Natural Science Fund of China (No. 81202184, 81130049, 81102112), Heilongjiang Post/doctoral Fund (No. LBN-Z12193) and Key Laboratory of Nutrition and Food Hygiene (Harbin Medical University, Heilongjiang Higher Education Institutions, No. YYKFKT1202). The online version of this article (doi: 10.1007/s00125-013-2839-7) contains peer-reviewed but unedited supplementary material, which is available to authorised users. R. N. Feng and Y. C. Niu are joint first authors of this study. Insulin resistance (IR) is the main feature and common root for the metabolic syndrome (MetS), type 2 diabetes and cardiovascular disease [1, 2, 3]. Dietary intervention in IR has been reported to be effective in reducing the risks for these chronic diseases, especially type 2 diabetes . Inflammation and oxidative stress are known to play a central role in the occurrence and aggression of IR [2, 5, 6]; suppressing low-grade chronic inflammation and oxidative stress could reduce the severity IR and reduce the risks for type 2 diabetes and cardiovascular disease [2, 5, 7]. Therefore, clinicians and public health researchers have become interested in the search for components from foods that have activity against inflammation and oxidative-stress. Histidine is an important amino acid for humans. It has been reported that low plasma concentrations of histidine are associated with protein-energy wasting, inflammation, oxidative stress and increased mortality in patients with chronic kidney disease . Further, in a previous study we found that a lower serum histidine level in obese women, compared with non-obese healthy women, was associated with inflammation and oxidative stress . Moreover, another recent study also found that the histidine level was lower in young obese individuals and in individuals with type 2 diabetes and was correlated with insulin sensitivity . 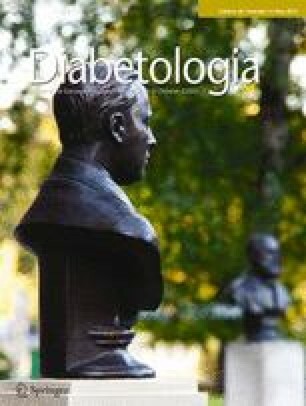 Based on the hypothesis that histidine may improve insulin sensitivity and alleviate inflammation, oxidative stress and metabolic disorders in humans, we performed this randomised, double-blinded, placebo-controlled trial in obese women with MetS and also carried out an in vitro study in adipocytes to clarify this issue. A total of 100 obese women with MetS, aged 33–51 years, BMI ≥ 28 kg/m2 , were recruited from five communities near Harbin Medical University via posters for this trial. Of the 303 obese women who attended the health examination, 151 were excluded for being diagnosed as not having MetS and 52 refused to participate, finally resulting in 100 individuals participating in this trial (Fig. 1). MetS was defined according to the International Diabetes Federation criteria  as waist circumference (WC) ≥80 cm for women plus at least two of the following components: (1) raised triacylglycerol (TG) (>1.7 mmol/l); (2) reduced HDL-cholesterol (<1.29 mmol/l); (3) raised systolic blood pressure (SBP) (≥130 mmHg) or diastolic blood pressure (DBP) (≥85 mmHg); (4) hyperglycaemia (fasting blood glucose [FBG] level of ≥5.6 mmol/l or 2 h postload blood glucose [2 h-PG] of ≥7.8 mmol/l). The exclusion criteria were: (1) unstable body weight during the past 6 months (change in BMI >0.5 kg/m2); (2) myocardial infarction, injuries, chronic or acute inflammatory diseases, taking anti-inflammatory medication or pregnancy/lactation; (3) kidney, liver or gastrointestinal diseases; (4) recent initiation of exercise programme; (5) recent initiation/change in hormonal birth control or hormone replacement therapy. This study was conducted according to the guidelines of the Declaration of Helsinki and all procedures involving humans were approved by the Human Research Ethics Committee of the Harbin Medical University. Written informed consent was obtained from all participants. Histidine powder was purchased from Yuan Cheng Gong Chuang (Wu Han, China). The l-histidine (purity 99.65%) was obtained from microbial fermentation and was food grade and safe for human use. Histidine was produced, using maize starch, into tablets, each containing 1 g histidine. An identical placebo was produced, just containing maize starch. Before the intervention, a pilot experiment was designed to determine the optimal dose of histidine supplementation. According to the histidine intake and supplementation described in previous studies [13, 14, 15, 16], we recruited 20 obese female university students for the pilot experiment, randomly assigned into two groups: ten women took two 1 g histidine tablets after breakfast and two tablets after dinner (4 g/day histidine) and the other ten women took four tablets after breakfast and four tablets after dinner (8 g/day histidine) for 2 weeks. During the supplementation period, no side effects were reported and serum superoxide dismutase (SOD) was increased in both groups at the second week (data not shown). Thus, we selected histidine 4 g/day as the intervention dose. For the trial, 100 participants were randomly assigned to one of two groups, and received either histidine or placebo. To ensure the homogeneity of outcome variables at baseline across the placebo and histidine supplementation groups, the homogeneity of age, BMI and serum histidine at baseline were tested. If the homogeneity of the outcome variables at baseline was not satisfied, then a new set of random numbers was generated from a randomisation number table and participants were randomised again by one of the authors (C. Zhao), who also labelled the treatment/placebo-containing bottles and dispensed them to participants. During the intervention, the histidine supplementation group received 4 g/day histidine: two 1 g histidine tablets after breakfast and two tablets after dinner for 12 weeks; the placebo group received four tablets of placebo daily. The compliance of the study participants was assessed by scheduled interviews and counting tablets returned every 2 weeks. After the routine interview, a 2-week supply of placebo or histidine tablets (four tablets/day × 2 weeks = 56 tablets) were given to each participant. The participants and the field staff responsible for data collection and outcome measures all remained blinded to the allocation of the two groups during the entire intervention. Demographic data were collected at baseline using a standardised questionnaire. Information collected included age, physical activity, current smoking, alcohol use, health history, medications and menstrual status The level of physical activity during leisure time was defined as: 0 = none, 1 = 1 ∼ 30 min/week, 2 = 31 ∼ 60 min/week, 3 = 61 ∼ 90 min/week, 4 = 91 ∼ 120 min/week and 5 ≥ 120 min/week. The level of physical activity at work was coded as: 1 = sedentary, 2 = moderate and 3 = heavy. At baseline and the 12th week, dietary intakes were measured with a validated semi-quantitative food-frequency questionnaire (FFQ) based on frequency . Energy and nutrient intakes were calculated using the Food Nutrition Calculator (V1.60; Shixinghengxun, Beijing, China). Anthropometric indices were measured by well-trained examiners with participants wearing light, thin clothing and no shoes. Body weight and height were measured to the nearest 0.1 kg and 0.1 cm, respectively. Blood pressure was measured three times, using a standard mercury sphygmomanometer and appropriate sizes of adult cuffs on the right arm, after a 10 min rest in a sitting position. BMI was calculated as weight (kg) divided by the square of height (metres). WC was measured midway between the lowest rib and the iliac crest using a flexible anthropometric tape in the horizontal plane with the participant in a standing position, measured to the nearest 0.1 cm. Fat mass (FM) was measured using the electric impedance method with a body fat mass analyser (ioi 353; Janex Medical, Seoul, Korea). Participants were instructed to fast for 12 h and fasting blood samples were collected in the morning. Then, each participant was given an oral glucose tolerance test and blood samples were drawn 2 h after the 75 g glucose was taken. Antecubital venous blood was centrifuged to obtain serum and stored at −80°C. Serum histidine was determined as previously described . Briefly, samples of serum (100 μl) were spiked with acetonitrile (100 μl), vortex-mixed for 30 s, immediately centrifuged at 11,000 g for 10 min at 4°C and the supernatant fraction was recovered. An Alliance 2695 separation module and a 2487 ultraviolet detector from Waters were used for the HPLC analysis (CV 4.2–5.3%). Derivatisation and gradient elution of serum amino acids were carried out following the manufacturer’s instructions (Waters, Taunton, MA, USA). ELISA using commercial kits was carried out, according to the manufacturers’ instructions, for assay of histamine (IBL, Hamburg, Germany), C-reactive protein (CRP) (Biocheck, Foster City, CA, USA), TNF-α (R&D Systems Europe, Abingdon, UK), IL-6 (R&D Systems Europe) and adiponectin (R&D Systems Europe). SOD, malondialdehyde (MDA) and glutathione peroxidase (GSH-Px) were measured with commercial kits using enzymatic methods (Jiancheng Technology, Nanjing, China). FBG, 2 h-PG, total cholesterol (TC), HDL-cholesterol, LDL-cholesterol, TG, NEFA, aspartate aminotransferase (AST), alanine aminotransferase (ALT), γ-glutamyl transferase (GGT), alkaline phosphatase (ALP), serum creatinine (Crea), blood urea nitrogen (BUN) and serum uric acid (UA) were determined using a ROCHE Modular P800 Automatic Biochemical Analyzer (Roche Diagnostics, Mannheim, Germany). Serum insulin concentration was measured by ROCHE Elecsys 2010 Chemiluminescence Immune Analyzer (Roche Diagnostics). Intra- and inter-day CV% of the clinical variables is shown in the electronic supplementary material (ESM Methods). The HOMA-IR index was calculated as previously described . Histidine (99% purity), oleic acid (OA) (99% purity) and palmitic acid (PA) (99% purity) were purchased from Sigma-Aldrich (St Louis, MO, USA). HEPES and BSA were from Amersco (Solon, OH, USA). Secondary antibody and quinazoline (QNZ) were from Santa Cruz Biotechnology (Santa Cruz, CA, USA). Akt, p-Akt, NF-κB/p65 and β-actin antibodies were from Cell signalling technology (Danvers, MA, USA). To prepare fatty acids, PA (25 mmol/l) was dissolved in NaOH (50 mmol/l) at 70°C and mixed with 10% (wt/vol.) BSA at 55°C, as 5 mmol/l reserving liquid. The reserving liquid was then diluted 1:10 (vol./vol.) with DMEM/F-12 (3:1) to obtain a 0.5 mmol/l PA solution with which to induce IR and inflammation. Histidine was dissolved in PBS and diluted to different concentrations (0, 1, 5 and 10 mmol/l) with serum-free DMEM for treatment. For cell culture we used the SW872 cell line (American Tissue Culture Collection, Rockville, MD, USA) that had been used in our previous study , cultured in DMEM/F-12 (3:1) containing 10% FBS and 1% penicillin/streptomycin in 5% CO2/95% air at 37°C . Confluent monolayers of pre-adipocytes were induced to differentiate according to the method we previous used . To study the effect of histidine on IR and inflammation, after serum starvation, SW872 cells were treated with 0.5 mmol/l PA, with or without histidine and nuclear factor kappa-B (NF-κB)/p65 inhibitor for 24 h, stimulated with or without 100 nmol/l insulin for 10 min, and harvested. Histidine was added into the medium to concentrations of 0, 1, 5 and 10 mmol/l, and NF-κB/p65 inhibitor was added (QNZ, 10 nmol/l) . Then phosphorylated protein kinase B (pAkt)/Akt and NF-κB/p65 protein and gene expressions (IL6 and TNF mRNA) were examined. Total RNA was isolated from cells with Trizol reagent (Invitrogen, Carlsbad, CA, USA) according to the manufacturer’s instructions. RNA was reverse transcribed to cDNA using a High-Capacity cDNA Reverse Transcription Kit (Applied Biosystems, Foster City, CA, USA). Real-time PCR was performed with the SYBR Green PCR Master Mix and a 7500 FAST Real-time PCR System (Applied Biosystems). The primer sequences are listed in ESM Table 1. For western blot analysis, nuclear protein was extracted using a commercial kit (Beyotime Institute of Biotechnology, Beijing, China) for NF-κB/p65. The detailed protocol for western blot in our laboratory has been described in a previous study . Experiments were replicated at least three times and a representative blot was shown. The calculation of statistical power was performed before the commencement of the study. At 80% statistical power and 5% significance level, a sample size of 32 in each group will be sufficient to detect a mean difference of 10 U/ml of SOD with an SD of 14 between the supplementation and the placebo groups. At 90% statistical power, a sample size of 43 per group will be needed. Statistical analyses were carried out using SAS software (version 9.1; SAS Institute, Cary, NC, USA). Data were presented as mean ± SD or percentage. The χ 2 test was used to compare categorical variables. Paired samples t test was used to evaluate the changes in outcome variables before and after intervention in each group. Mean levels of continuous study variables at baseline and the 12th week between the two groups were also compared using analysis of covariance (ANCOVA). In the model of ANCOVA, the covariates included baseline values, age, serum histidine, protein intake, physical activity, alcohol use, current smoking and menopause. The percentage differences between supplementation and placebo groups in outcome variables at the 12th week were calculated using covariate-adjusted values as 100 × ([histidine supplementation group–placebo group]/placebo group) for each study variable. Partial correlation analyses were conducted to examine the relationship between changes of serum histidine and changes of IR and its risk factors, adjusted for age, serum histidine, protein intake, physical activity, alcohol use, current smoking and menopause age, serum histidine, protein intake, physical activity, alcohol use, current smoking and menopause. In the in vitro study, differences among the groups were determined by ANOVA followed by post hoc multiple comparison tests. All p values were two-tailed and p < 0.05 was considered significant for statistical analyses. Figure 1 shows the study design and the flow of participants. Among the 100 eligible individuals who participated in the study at baseline, 92 completed the trial and took all the tablets. Five individuals in the placebo group were excluded from analysis because they changed residence (n = 1), did not take the suggested quantity of tablets (n = 3) or were lost to follow-up (n = 1). Three individuals in the histidine supplementation group were excluded because they did not take the suggested quantity of tablets (n = 2) or became pregnant (n = 1). There were no significant differences in the overall compliance rates between the two groups (90% in placebo group, 94% in histidine supplementation group, p = 0.46). At baseline, there were no significant differences between the placebo and histidine supplementation groups in age, dietary factors, physical activity, percentage of current smoking, alcohol use, menopause, anthropometric or clinical variables (Tables 1, 2). Dietary nutrient intakes did not differ significantly across the two groups at either baseline or end of the trial, or the changes in dietary nutrient intakes during the intervention period were not significant within each group, suggesting that histidine did not suppress appetite at the dose used (ESM Table 2). None of the participants complained of headache, weakness, drowsiness or nausea during the intervention. Mean levels (±SD) of variables at baseline and the 12th week in the two groups are presented in Table 2. There were no significant differences in variables between the two groups at baseline. After 12 weeks of intervention, there was a significant increase in serum histidine (18.23 μmol/l [95%CI 11.74, 24.71]) and adiponectin (2.02 ng/ml [95% CI 0.60, 3.44]), and a significant decrease in HOMA-IR (−1.09 [95% CI −1.49, −0.68]), BMI (−0.86 kg/m2 [95% CI −1.55, −0.17]), WC (−2.86 cm [95% CI −3.86, −1.86]), FM (−2.71 kg [95% CI −3.69, −1.73]) and NEFA (−173.26 μmol/l [95% CI −208.57, −137.94]) in the histidine supplementation group compared with baseline; the change in serum histamine was not significant. However, FBG showed a decreased trend in the intervention group (−0.8 mmol/l, p = 0.052). In the placebo group, there were no significant changes in these outcome variables measured over the intervention period. Figure 2 shows the percentage differences between the histidine supplementation and placebo groups at the 12th week, adjusted for baseline values, age, serum histidine, protein intake, physical activity, current smoking, alcohol use and menopause status in the ANCOVA analyses. Histidine supplementation, compared with placebo, significantly decreased the HOMA-IR, BMI, WC, FM and NEFA by 18.9%, 2.9%, 3.7%, 6.0% and 18.1%, respectively, and increased serum histidine and adiponectin by 13.2% and 21.5%, respectively. Change in TG did not reach significance and FBG was decreased in trend by ANCOVA analyses. There were no significant differences between the histidine supplementation and placebo group in inflammation and oxidative stress markers at baseline (Table 3). After 12 weeks of intervention, histidine supplementation significantly increased serum SOD (17.84 U/ml [95% CI 15.03, 20.65]) and GSH-Px (13.71 nmol/ml [95% CI 9.65, 17.78]) and decreased TNF-α (−3.96 pg/ml [95% CI −5.29, −2.62]) and IL-6 (−2.15 pg/ml [95% CI −2.52, −1.78]) compared with baseline. In the placebo group, no significant changes in these outcome variables were observed over the intervention period. When compared with placebo, histidine significantly decreased inflammatory markers (TNF-α, −28.3%; IL-6, −29.3%) and improved oxidative stress (SOD, 16.1% and GSH-Px, 9.0%) at the 12th week (Fig. 2), which indicated that histidine could suppress inflammation and oxidative stress. There were no significant differences in values of serum AST, ALT, GGT, ALP, Crea, BUN or UA over the intervention period or between the two groups (ESM Table 3), which indicated that histidine did not influence the liver or kidney functions. Partial correlations were conducted between the change in serum histidine and HOMA-IR, IR risk factors (Table 4). The data showed that the change in serum histidine was significantly correlated with changes in HOMA-IR, NEFA, TNF-α, IL-6, SOD, GSH-Px, FM, WC and BMI, with or without the adjustment for age and serum histidine, protein intake, physical activity, alcohol use, current smoking and menopause at baseline. After the SW872 adipocytes were treated with 0.5 mmol/l PA for 24 h to induce IR and inflammation, the expression of pAkt/Akt was significantly attenuated (Fig. 3a). Histidine treatment increased pAkt/Akt in a dose-dependent manner, while QNZ, an NF-κB inhibitor, diminished the effects of histidine and PA. These results showed that PA reduced insulin sensitivity in adipocytes; histidine could improve IR and this effect depended on NF-κB. Further, we investigated the effect of histidine on markers of inflammation. PA could stimulate the NF-κB pathway to induce inflammation; IL6 and TNF mRNA expression and NF-κB protein production in adipocytes were significantly increased after incubating cells with PA indicating that inflammation was induced (Fig. 3b–d). After incubation with histidine 0, 1, 5 and 10 mmol/l for 24 h, IL6 and TNF mRNA expression and NF-κB protein expression were decreased in a dose-dependent manner, suggesting that histidine could improve the inflammation status in adipocytes. When pre-incubated with NF-κB inhibitor, we found that IL6 and TNF mRNA expression were significantly lower than in the inflammatory group; addition of histidine did not improve the IL6 and TNF mRNA expression or NF-κB production. Our findings indicate that histidine could improve IR and inflammation in adipocytes, probably through the NF-κB pathway. This randomised, double-blind, placebo-controlled trial found that histidine supplementation for 12 weeks significantly decreased HOMA-IR, BMI, WC, FM, NEFA and the inflammatory biomarkers of TNF-α and IL-6, and increased serum histidine, adiponectin, SOD and GSH-Px, suggesting that histidine could improve IR and fat accumulation and suppress inflammation and oxidative stress in obese women with MetS. As the data for histidine supplementation are limited, we first considered the dose of histidine supplementation. As a large dose of histidine (64 g/day) was reported to induce side effects of headache, weakness, drowsiness and nausea , and a low dose may not produce the significant effects we expected, we conducted a pilot experiment with 4 g/day and 8 g/day histidine supplementation to determine an effective and safe dose. We found that both doses could significantly increase SOD at week 2, with no side effects or suppressed appetite. For the sake of safety, we selected 4 g/day for this study. In this 12-week intervention, we did not observe any side effects or changes in liver enzymes or kidney variables. In addition, although serum histidine increased after the supplementation, we did not see any change in serum histamine or receive complaints of suppressed appetite, headache, weakness, drowsiness, or nausea in either the group receiving 4 g/day histidine or the group receiving placebo, which was consistent with the findings of a previous study using the same dose . IR is the outcome of body weight, FM, inflammation and oxidative stress. To explore the relationship between changes in serum histidine and IR and its risk factors, we analysed the data using correlation analyses in the overall population. Changes in serum histidine were correlated with the changes in HOMA-IR, NEFA, TNF-α, SOD, GSH-Px, WC, FM and BMI, and were still significant after further adjustment for age and serum histidine, protein intake, physical activity, alcohol use, current smoking and menopause at baseline in the partial correlation analyses. Thus, improved insulin sensitivity and alleviation of inflammation and oxidative stress could be due to the increased serum histidine. Histidine is a free radical scavenger and can chelate divalent metal ions [23, 24]. Its effects against oxidative stress have been well investigated in animals and cells. Histidine has beneficial effects on liver and lung injury in rats and has been reported to protect against diabetic complications in a mouse model of diabetes through its actions against oxidative stress [25, 26, 27]. It can restrict accumulation of free radicals and delay activation of extracellular signal-regulated kinase and c-jun N terminal kinase in neuronal cells . Although the mechanisms of the effects of histidine against oxidative stress are apparent, it is still unclear how histidine improves inflammation in obesity. To answer this question, we conducted an in vitro study in human adipocytes. After incubation of adipocytes with PA for 24 h to mimic the inflammatory status of obesity or MetS, the critical point (pAkt) of the insulin-signalling pathway was significantly inhibited; IL6 and TNF mRNA expression and NF-κB protein production were significantly increased. Subsequent incubation with 0, 1, 5 and 10 mmol/l histidine for 24 h, showed that histidine could reverse the effect of PA on the key protein pAkt and decrease levels of pro-inflammatory cytokines and NF-κB in a dose-dependent manner. Additionally, the effects of PA were significantly decreased, and histidine could not influence the pAkt and pro-inflammatory cytokine levels in adipocytes treated with NF-κB inhibitor. Taken together, our in vitro study demonstrated that histidine could improve IR and suppress pro-inflammatory cytokine expression probably through the NF-κB pathway in adipocytes. Likewise, studies have demonstrated that histidine could reduce the levels of IL-6, TNF-α and CRP in animal models of liver and lung injury, diabetes or acute inflammation [25, 26, 27, 29]. Some in vitro studies also reported that histidine inhibited hydrogen peroxide- and TNF-α-induced IL-8 secretion at the transcriptional level in intestinal epithelial cells  and IL-6 production in human coronary arterial endothelial cells . Our study further confirms the anti-inflammatory effects of histidine in obese human and human adipocytes. The increased adiponectin observed in our study might be explained by the actions of histidine against inflammation and oxidative stress. As TNF-α suppresses the transcription of adiponectin in adipocytes , histidine may increase adipocytes’ secretion of adiponectin by suppressing inflammation and oxidative stress. In addition, inflammation and oxidative stress could stimulate stearolysis and apoptosis of adipocytes, resulting in increased NEFA, while adiponectin could increase the clearance of NEFA from the circulation by increasing skeletal uptake and oxidation of lipid ; this may explain why NEFA levels decreased after histidine supplementation. We also observed significantly reduced BMI and FM in the histidine supplementation group. A recent animal study provides a clue that histidine significantly lowers body weight and FM through diminishing the activity and mRNA expression of fatty acid synthase (FAS), sterol regulatory element-binding proteins-1 (SREBF1) and the gene for malic enzyme in high-fat-diet-induced hepatic steatosis . The close links between obesity, inflammation, oxidative stress, reduced BMI and FM might also play a role in the improvement of IR. Amino acids are not only common nutrients but are also cell-signalling molecules, regulators of gene expression and the protein phosphorylation cascade . Our findings suggest that obese individuals with MetS or IR might benefit from foods rich in histidine or histidine supplementation, without side effects, in multiple ways. Thus, the underlying mechanisms of histidine’s effects need to be further investigated and more attention should be paid to the metabolism of specific amino acids in obese individuals. This study has certain limitations. Because previous studies found that women were more sensitive to dietary histidine and energy intake than men [14, 36], we chose women to participate in our study. Therefore, the findings may not be generalised to the total population. In conclusion, this randomised, double-blind, placebo-controlled trial found that histidine could improve IR, low-grade inflammation and oxidative stress; it could also reduce BMI, FM and NEFA in obese women with MetS. Additionally, we found that histidine could improve IR and suppress pro-inflammatory cytokine expression in adipocytes, possibly through the NF-κB pathway. YL and CHS were responsible for the study concept and design. RNF and XWS conducted the experiment and collected data. YCN, QL, CW, FCG and CZ were responsible for analysis and interpretation of data. RNF, YCN and QL drafted the manuscript. All authors revised the manuscript critically for intellectual content and approved the final version to be published.